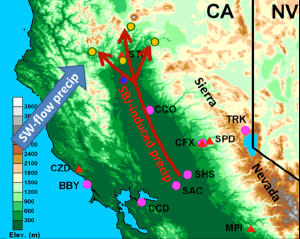 Aerosols from local sources as well as those transported from remote continents—and their modulating effects on western U.S. precipitation. 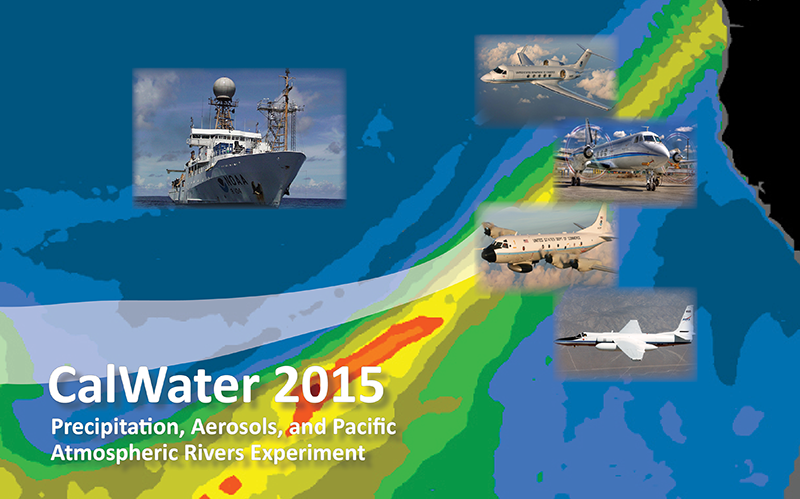 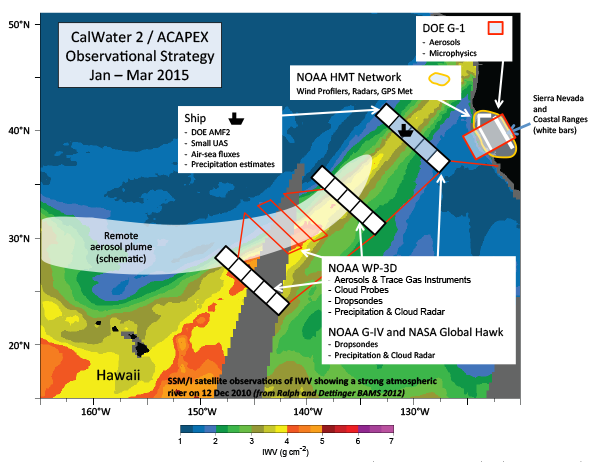 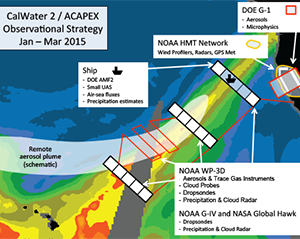 The CalWater 2/ACAPEX observational strategy will use high- and low-altitude aircraft, a ship with the AMF2, and a ground-based network. 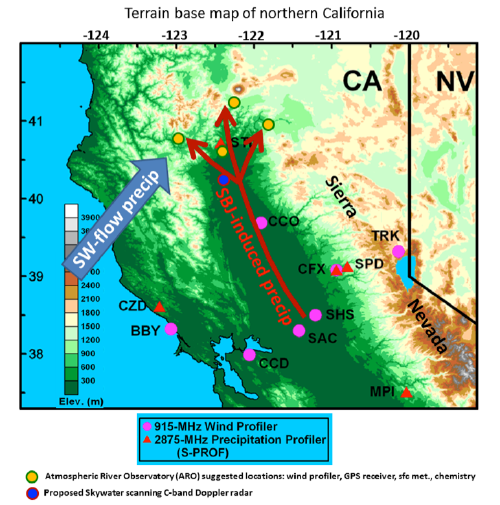 Terrain base map of northern California showing wind profiler sites and S-PROF radars operation during the HMT and CalWater field campaigns (pink circles and red triangles, respectively).